Although you might be putting a lot of time and energy into planning the structure, floor plan and decor of your custom built home, all future visitors to your house will be experiencing some other elements first. Before they ever knock on your front door, they’ll be walking the path you lay in place leading up to it. Here at Walgrove, our team is equipped to handle not just the house itself, but also the landscaping and hardscaping that can majorly increase the value and curb appeal of your home. These are just a few ideas to get you started in your brainstorming process! This is one of the most affordable options, making it a frequent choice across the country. But affordable doesn’t mean it has to look cheap. Install your gravel walkway with a barrier made of bricks, stones or even steel edging to keep it neat and sharp. You can even incorporate crushed shells to elevate the appearance. Gravel paths do need to have a foundation dug in order to lay correctly in your yard, but that foundation doesn’t need to be more than a couple inches deep. This is another factor that adds to the low-hassle qualities of this choice. However, you should be aware that in the long run, gravel paths require some maintenance. You’ll need to weed it frequently to avoid plant invaders that break up the path visually and scatter the gravel. If you anticipate particularly high foot traffic, be aware you’ll have to refresh the gravel often, as it’s likely to be carried off or kicked around in the natural course of coming and going. This classic, whimsical choice can be adapted to a wide range of environments. 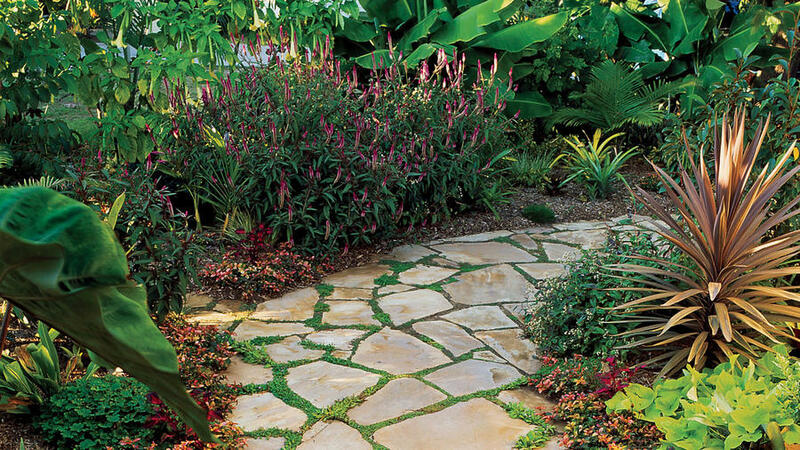 Simple flagstone pieces can be laid in grass or mulch to lay an easy path to the front door. This concept can be applied as formal or as fun as you want. You might choose to go all the way and piece together flagstones in a cement bed, rimmed with a border. Or you might choose to simply place slabs of stone at intervals in your natural yard. These options can create very different but equally functional and pleasing pathways. Whatever kind of stone and type of foundation you choose for your path, make sure to lay the stones close enough together that it will be easy to walk over. You’ll also want to make sure to dig out around them as necessary to ensure they stay firmly rooted without wobble to avoid tripping any unlucky visitors. If you want to lay a more rustic stepping stone path, keep accessibility in mind; any handicapped visitors are unlikely to be able to use a path like this, so ensure there are other options for entering your home. A brick path can be a neat, trim accent for your home. Brick comes in a wide array of colors, from classic red to varying shades of gray and even black. You can lay the brick in a variety of patterns as well, depending on the kind of balance you want to create visually. Brick can also be laid in combination with other path types. You might try to edge slate square stepping stones with brick, or neatly line your gravel path. 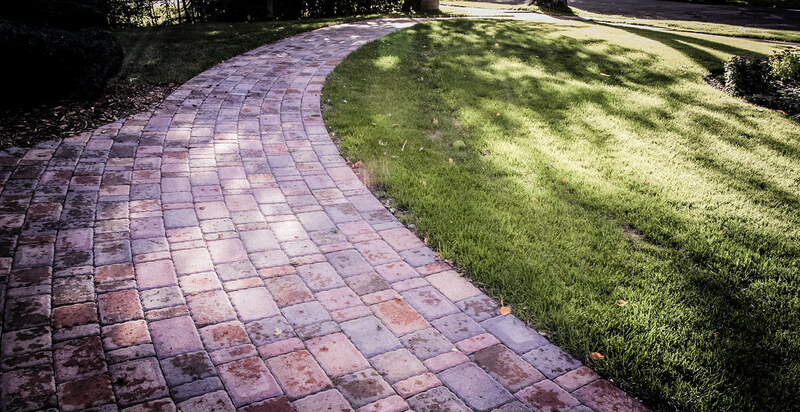 Brick is a timeless and sturdy addition to your walkway. As with all the other path types, if you don’t set the bricks in cement, just be aware you’ll want to stay on top of weeds. Does one (or more than one) of these ideas feel right for you? We can help make your vision a reality! Learn more about how we can make your home uniquely your own, inside and out.